BSW Bloodstock enjoyed racing G3W/G1P Consumer Credit, G2W Paulina’s Love, and G3W Cay Dancer. All sold well and moved on to new careers this November at the Fasig-Tipton and Keeneland Sales. 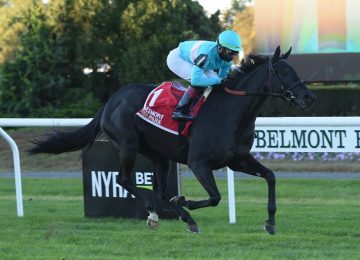 Consumer Credit (4 year old filly by More Than Ready) campaigned by Brous Stable LLC, Gary Barber and Wachtel Stable, retired from racing as a Graded Stakes winner. 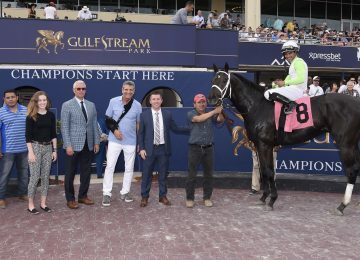 After breaking her maiden in a MSW at Belmont Park, she won the Wait a While Stakes at Gulfstream Park and was purchased privately by BSW Bloodstock. 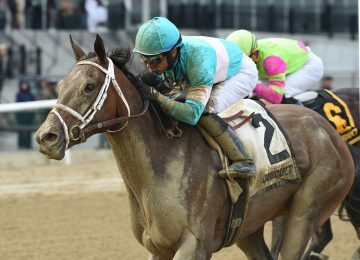 She continued her success for her new connections with her most impressive victory in the Sweetest Chant Stakes – Gr. 3, where she defeated multiple Graded Stakes winner, Miss Temple City. Consumer Credit raced in 8 Stakes races (5 of which were Graded Stakes) to finish with 3 wins, 1 second and 2 thirds, and $362,445 in career earnings. Consumer Credit was consigned by Bluewater Sales LLC and sold to Al Shahania Stud for $700,000 at the Fasig Tipton November Sale. Paulina’s Love (4 year old filly by Mizzen Mast), finished a notable career with a win in the Buena Vista Stakes – Gr. 2 at Santa Anita Park. Based in California, she raced 13 times, to produce 4 wins, 3 seconds and 3 thirds. The 4 year old filly was conditioned by Richard Baltas and owned by KM Racing Enterprise, Inc. and Head of Plains Partners LLC. She made $304,990 in career earnings. The daughter of Mizzen Mast was consigned by Denali Stud (Craig & Holly Banderoff) sold very well for $425,000 to Paca Paca Farm at the Fasig Tipton November Sale. 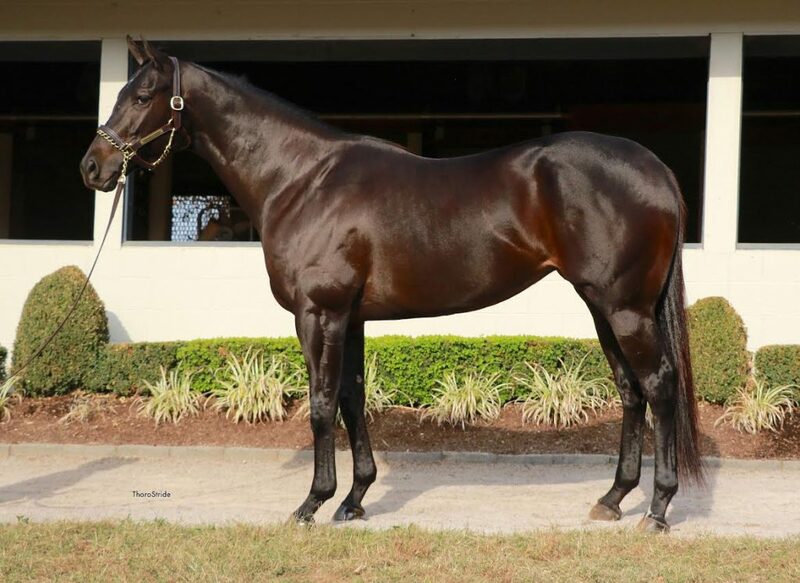 BSW sold one mare at the Keeneland November Breeding Stock Sale in G3 winner Cay Dancer, in foal to Medaglia d’Oro. She will go on to be a broodmare in Europe. 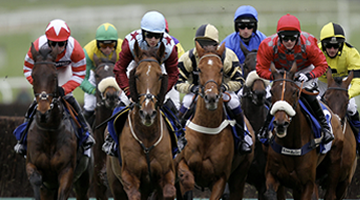 Good luck to all the new connections of these nice mares.